As the name implies, FOREVERbridges bridge the gap that is the result of having one or more missing teeth. The bridge itself has two or more crowns that are made for the teeth on either side of the gap. Compared to other types of bridges, FOREVERbridges are a whole lot stronger, more durable, and of course, aesthetically better. They are also better than metal ceramic bridges that could cause some allergic reactions. 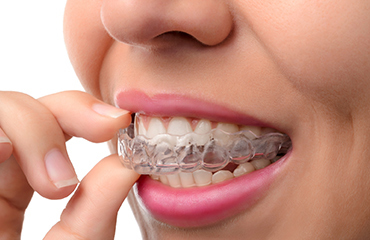 Unlike other bridges, FOREVERbridges do not come with that distracting grey line along the edges of the gums that is a telltale sign that the patient is wearing a dental appliance. What are the FOREVERbridges made from? 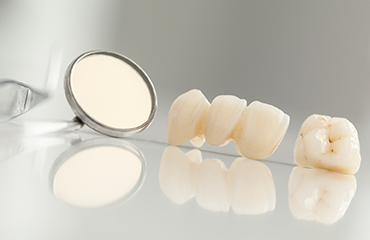 The main difference between our FOREVERbridges and other types of bridges is the fact that they are made from Zirconium oxide which is a form of dental ceramic, which may be tough, but highly compatible with the body. What it means is that the patient’s body will not react to the bridge in a negative way or reject it. This is often the case with people who are allergic to some metals that are used in common bridges. What are the advantages of FOREVERbridges? Aside from the fact that FOREVERbridges are strong and stable, there are also other advantages that you simply have to know about. First of all, it will not cause any allergic reaction because they are considered biocompatible. They also blend well with the rest of your teeth. What makes someone a good candidate for this product? Patients who need dental bridges to bridge the gap between their natural teeth are good candidates for FOREVERbridges. 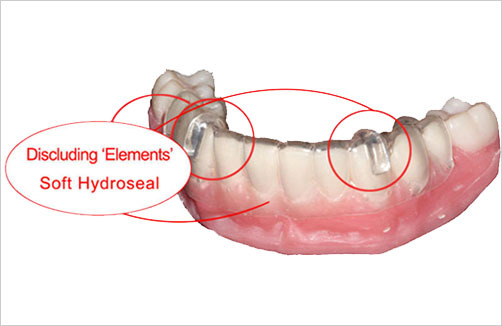 Those who are allergic to some of the metal components of usual bridges would also make great candidates. Dental Laboratory Associates offer a LIFETIME warranty on the prosthetic components of all our FOREVER FAMILY products. Our general terms of sale and warranty ensure the superior quality of our products.